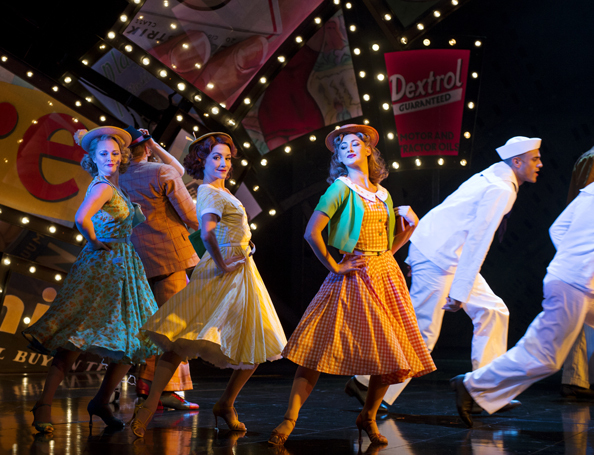 Spectacular dancing enlivens evergreen chestnut Guys and Dolls in this solid new production. While the Donmar Warehouse spiced up their 2005 revival with dazzling marquee names, the casting is far more humble this time. 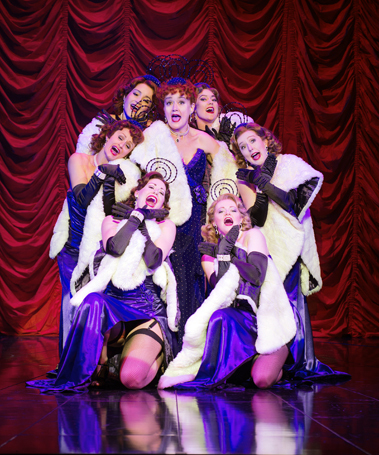 This staging, however, is more lavish than a wall of light bulbs, and the direction and choreography make thorough use of the plentiful stage space at the Savoy Theatre. 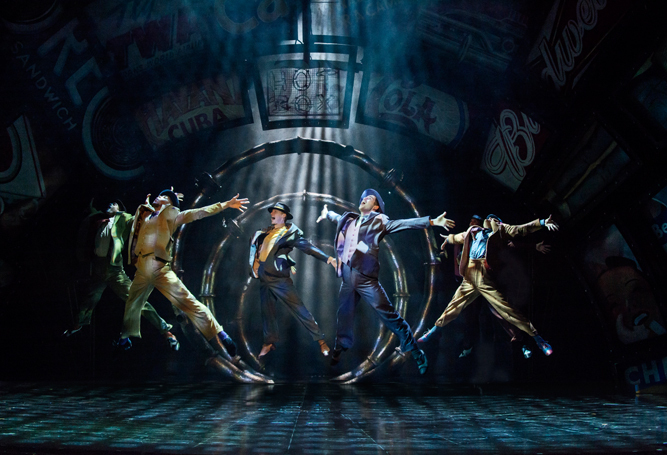 One of the best known shows in the music theatre canon, it is best to let the timeless quality of the work speak for itself, and this is exactly the approach taken by director Gordon Greenberg. Peter McKintosh’s radiant overhead collage of billboards leaves the floor space free for seamless movement within and between scenes. 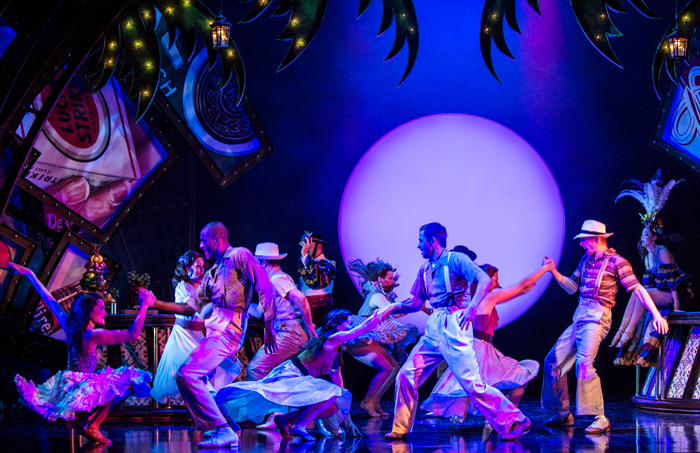 The chief attraction here is the achievement of joint choreographers Carlos Acosta and Andrew Wright, who deliver the most exciting dancing seen in this show in memory. 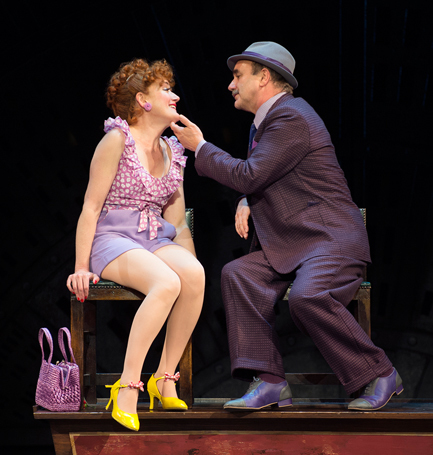 From the opening notes of “Runyonland,” through “The Oldest Established,” and the dance break in “Guys and Dolls,” the choreography is closer to Newsies than the sedate storytelling usually seen in this show. If these sections are great, big numbers “Havana,” Crapshooters’ Ballet” and “Sit Down, You’re Rockin’ The Boat” threaten to blow off the roof with their energy and inventiveness. There is still storytelling embedded in the dance, but in more interesting and abstract ways. Gareth Valentine’s new dance arrangements respect the source material while adding a fresh vibe. The fourteen musicians, mostly brass and woodwinds, sound nothing short of sensational. Perhaps in an effort to match the energy of the choreography, or perhaps due to a lack of trust in the material, Greenberg feels the need to have his actors perform at their highest vocal levels in all the book scenes. Diction and slow speech, along with forceful projection, keep the text crystal clear, but subtlety and nuance are lost when everyone has to speak so slowly and carefully and loudly. Many of the jokes require a casual throwaway nonchalance, and this aspect is lost. In avoiding star casting, Greenberg also appears to have gone overboard with realism. Never have so many bald men been seen on stage in the same together. McKintosh’s costumes nobly follow this natural approach, utilising colour and patterns well but adding little sparkle or glamour. While Sophie Thompson is ostensibly the biggest name in the show, the biggest asset in the cast is Jamie Parker as Sky Masterson. In an interesting interpretation, Parker is a more ethically concerned man than the slick, suave, unflappable guy who is normally seen. Parker also has the casual, masculine Sinatra sound that is perfect for his songs. Siubhan Harrison is a lovely Sarah Brown, and she and Parker do enjoy great “chemistry.” Harrison sings sweetly, and makes an amusing contrast in her transformation to tipsy Sarah in Havana. Thompson wins the audience’s love as beleaguered fiancée Miss Adelaide, playing her as a self-aware but pluckily determined woman. Thompson scores extra laughs by having Adelaide swoop into a deep chesty voice when making a dramatic point. David Haig retains Mr Banks’ fastidious control and intellectual air, robbing Nathan of his spontaneous, seat-of-his-pants manner. The supporting leads are well cast and are well matched in look and performance style. Special mention to Neil McCaul for finally making Arvide Abernathy’s ballad “More I Cannot Wish You” enjoyable to listen to (the orchestrations also helped). Extraordinarily tall young actor Nic Greenshields makes an ideal Big Jule. 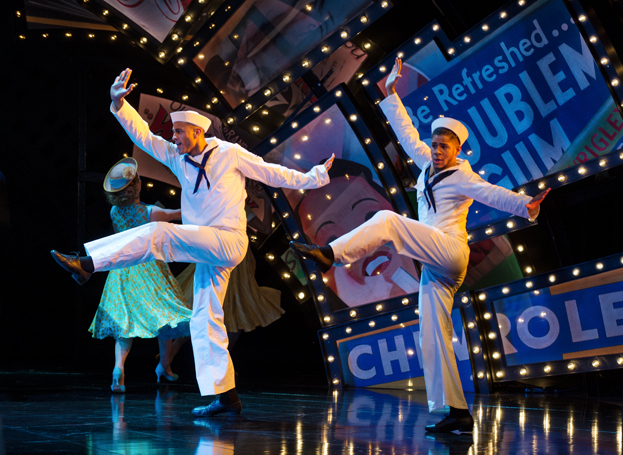 The capacity audience at this performance were swept along with the nostalgia and blown away by the dancing. 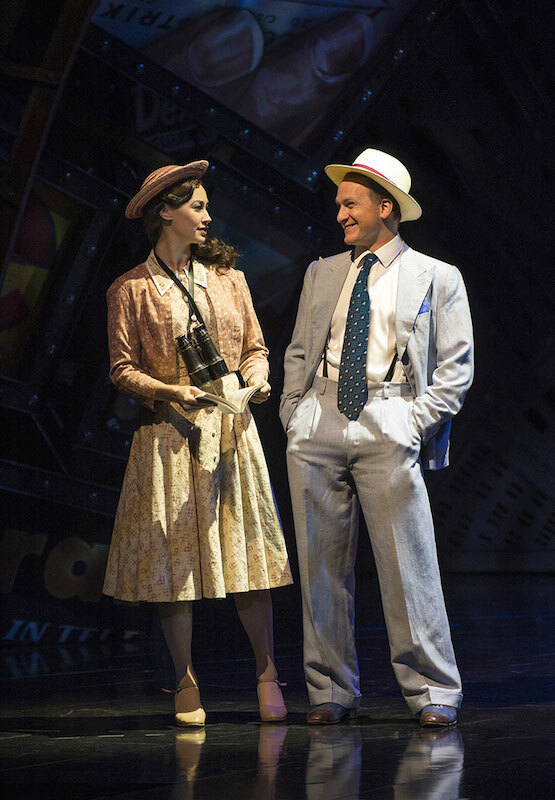 Guys and Dolls plays at Savoy Theatre, London until 12 March 2016 before an extensive UK tour. 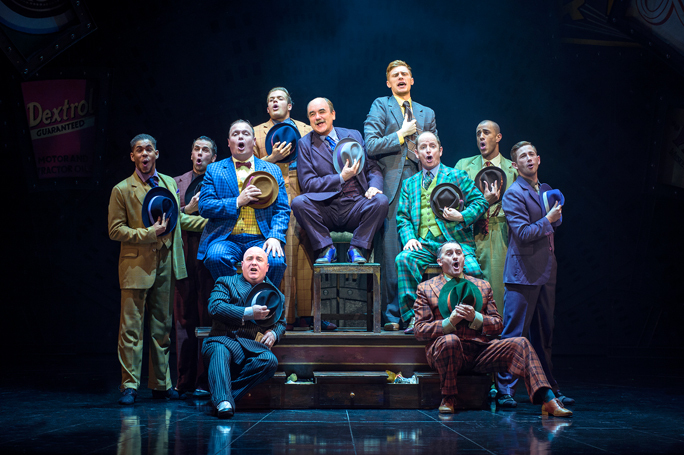 Guys and Dolls was reviewed 7.30pm Monday 18 January 2016.